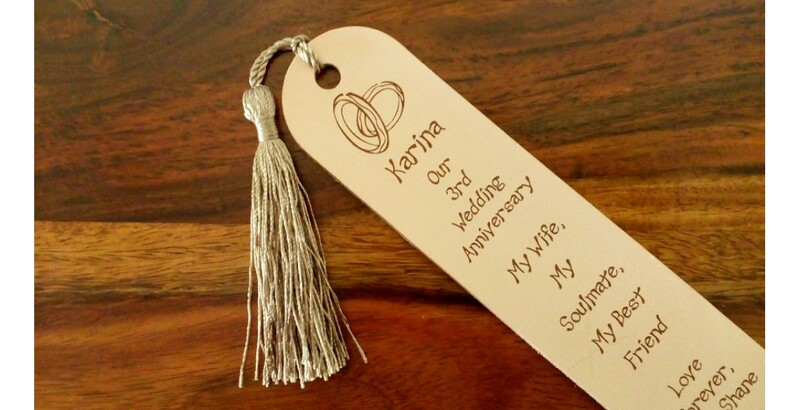 Here's a gallery of some 3rd anniversary leather bookmarks. We hope these give you some inspiration for your personalised gift. Sone of the images are from our set designs and others are customer's own ideas.